Last night I gave a talk at the Russian Club in Hong Kong. Here is my presentation and other downloads as promised! The video will be posted in about 6 weeks. 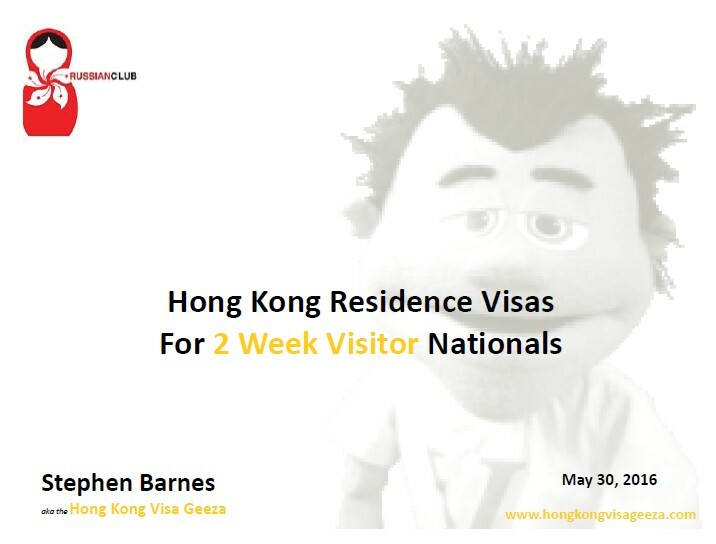 The Hong Kong Visa D-I-Y Kit – Get Yours Today!